Forgive me for the long post, but I thought that I should be as comprehensive as possible especially since there is a lot of interest in the Brush Guard. I first heard about The Brush Guard from Youtube gurus praising its merits and how much easier it made drying brushes. After that, I got the inspiration to try an alternative after seeing a comment saying that it looked the same as braided sleeving for cable organizers. 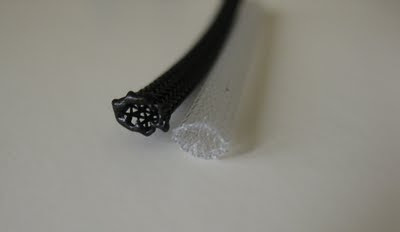 I did a post earlier about the braided sleeving but I didn't have the real Brush Guard to compare to. I received a couple of samples from the company and so I thought I'd to do a comparison post. The company that makes the Brush Guard also sells them as Brush Defenders to cater to those who paint and do art work. There is no difference in the product. 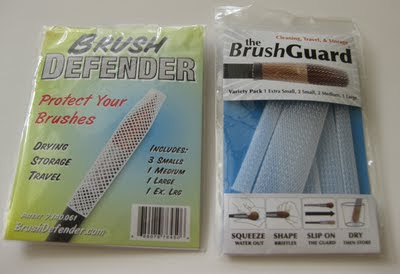 Brush Guard sells packs of each size or a variety pack but the Brush Defender site only sells a variety pack. The sizing is the same but the naming is just different. The Brush Guard goes from Extra Small to Large and the Brush Defenders go from Small to Extra Large. Before I compare them I thought I'd do a quick tutorial on how to make your own brush guards from braided sleeving. 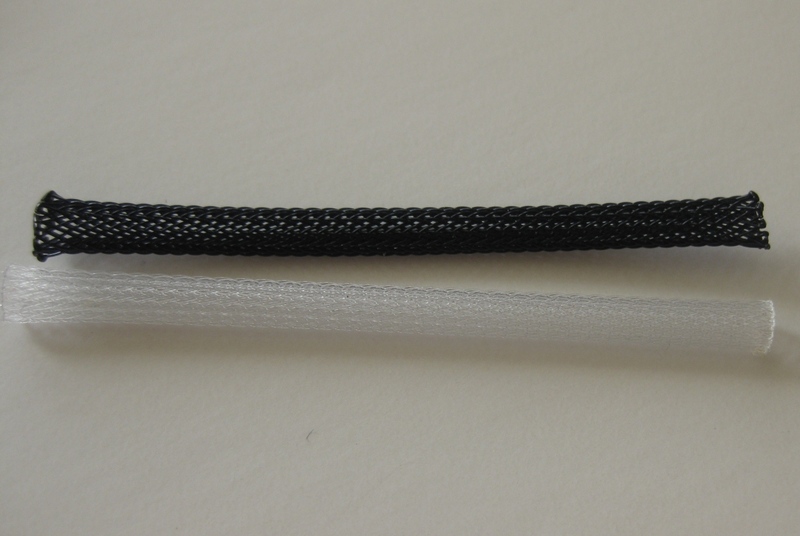 You can purchase the braided sleeving from Cable Organizer but the shipping increases per item you buy so keep that in mind. Another seller is CableTiesandMore but their shipping seems more expensive and I have not bought from them before! The trick to the braided sleeving is making sure that you must cut them long enough to ensure that they do not fray as you're using them. I found a length of 4 inches to be good for all sizes of the braided sleeving. After you cut them with scissors, you'll want to seal the ends of the sleeving to help prevent fraying. I use a lighter to slightly run over the edges of the braided sleeving (a trick I picked up from ballet that we used to prevent our toe shoe ribbons from fraying) to help bond the braids together. I'll talk about the Pros and Cons of the Brush Guard vs my DIY Brush Guard and my prior Toilet Paper Wrap a la DustyoHunter. I do it slightly different in that I just roll the paper tightly around the brush head versus pushing it up from the handle. I find this method to work better for eyeshadow brushes. You can dry your brushes upside down in a cup if you use the brush guard (I normally leave my brushes laying sideways to dry. You need to make sure to thoroughly squeeze the water out of your brushes (in between a paper towel) before you dry them otherwise you'll be waiting ages. In my experiments, I found the DIY version to work EXACTLY like The Brush Guard. To make it easier for you to find compariable sizes, the widths of the Brush Guard Small is 1/4 inch, for the Medium ~3/8s inch, the Large is 3/4s inch and the Extra Large is 1 inch. Depending on which length you buy and where you buy it from, it can cost MORE than buying a pack of brush guards. Same problem as above, you need to make sure to thoroughly squeeze the water out of your brushes (in between a paper towel) before you dry them otherwise you'll be waiting ages. Pricing: Like I said above, it can be costlier than the original Brush Guard. For example, 4 feet of 1/4" sleeving from Cable Organizer which would make 12 of the comparable Small eyeshadow sleeve would cost $6.54 including shipping and handling whereas you can get 10 of the Small eyeshadow sleeves in a pack for $5.50 including shipping and handling. It would still be a one-time investment. I do it slightly different than DustyOHunter's method in that I just roll the paper tightly around the brush head versus rolling it around the handle pushing it up to the brush head. It is an excellent way to dry your brushes. I usually use 1/2 square folded in half for eyeshadow brushes and usually 3-4 on face brushes. So after all this, which one would I invest in? I would actually buy the brush guards strictly for eyeshadow brushes (the pack of 10 Small brush guards is $5.50) and use the toilet paper roll method for my face brushes. If I find a cheaper source for the 1/4 inch braided sleeving I'll buy that. Most of my collection is comprised of eye brushes so I'm glad that the Brush Guard sells each size individually. 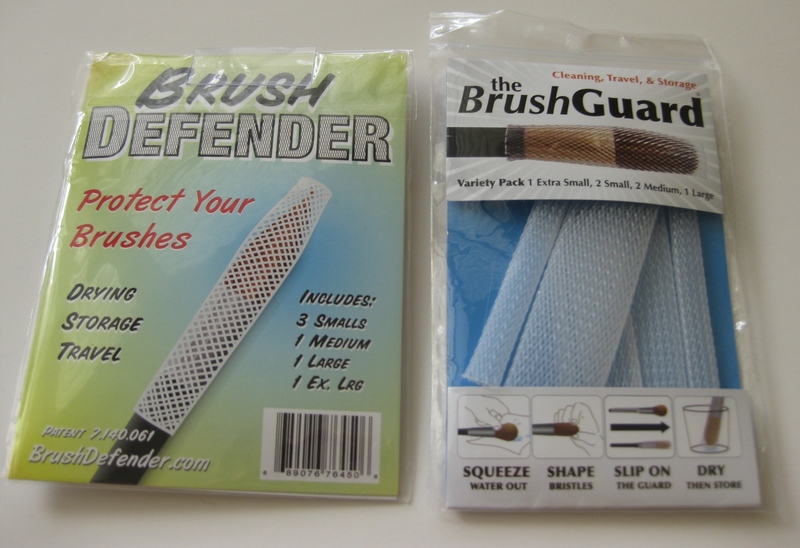 If you want a variety pack that contains Brush Guards for the same price, buy them from Brush Defender. 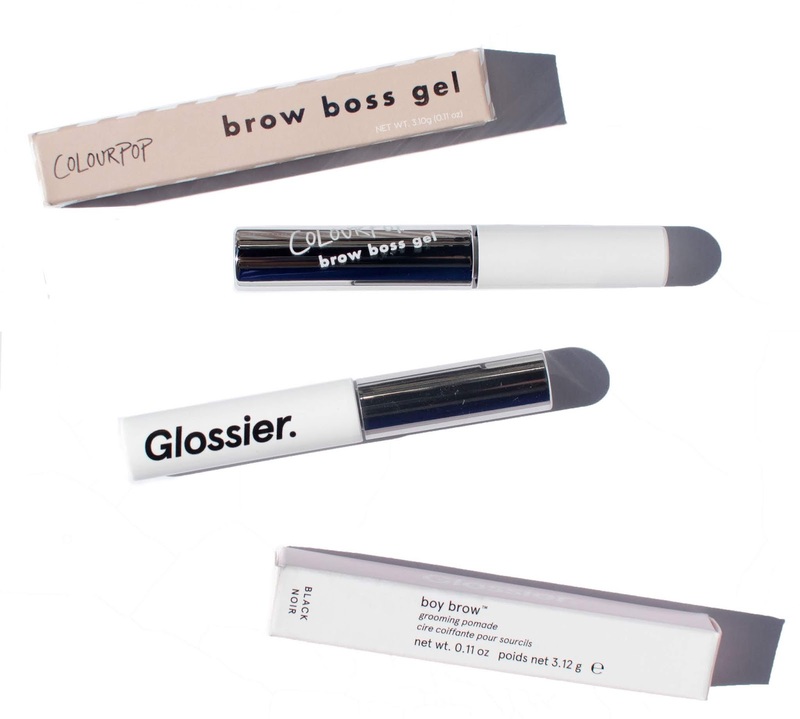 Their variety pack contains 3 of the eyeshadow Brush Guards and 1 Medium, Large and Extra Large size. Disclaimer: The Brush Guard sent me samples of the product for consideration. I'm not getting paid for writing the review/comparison and none of the links are affiliate links (just so you know I've never had affiliate links) My opinions have not been influenced by the fact that they sent me samples and my opinions are my own! Wow. GREAT post, really informative. 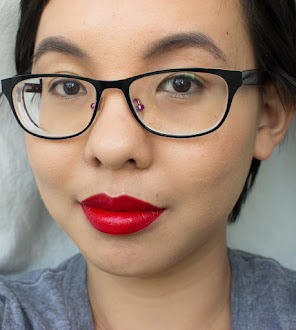 I loved your DIY tutorial! Thank you :) I figure if someone already has some thin braided sleeving then it'd be very easy to make their own! I like this review and I never thought of using cable organizers. Such a genis idea, who wouldve thought, huh? Anyways, I have the Brushguard and I barely use them. I should though.